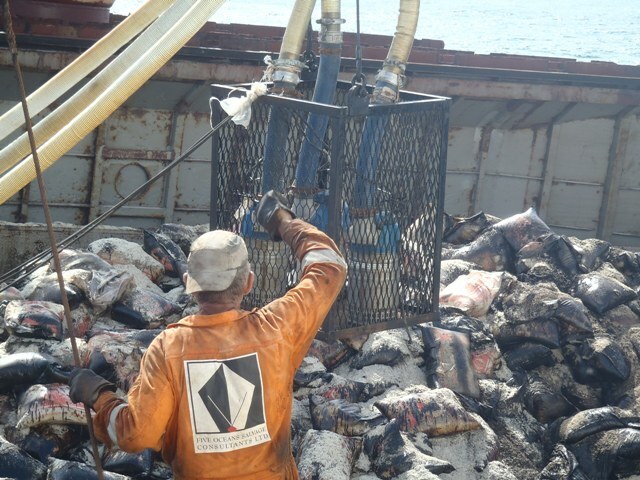 In 2011, FIVE OCEANS SALVAGE undertook successfully 7 salvage operations. 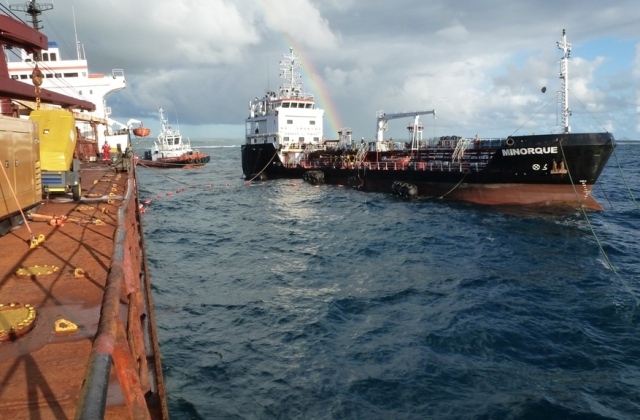 Motor tanker ROYAL (13,000DWT, built 1985), in ballast, run aground in Kingston, Jamaica on 25th December 2011. 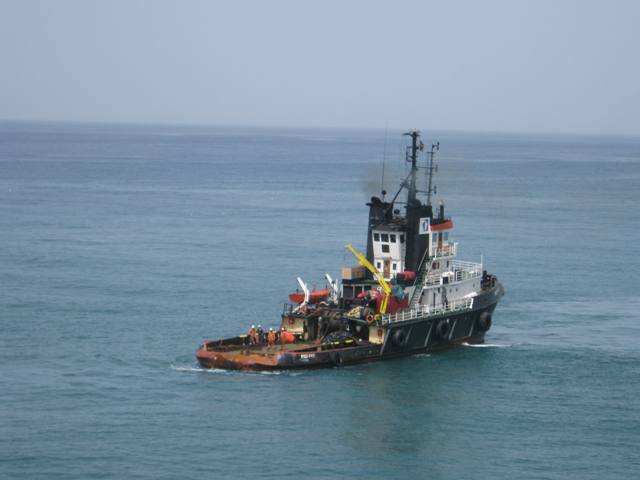 A LOF was signed with Five Oceans Salvage who engaged local salvage tug RESOLVE SUHAILI and a salvage team from Miami to assist. 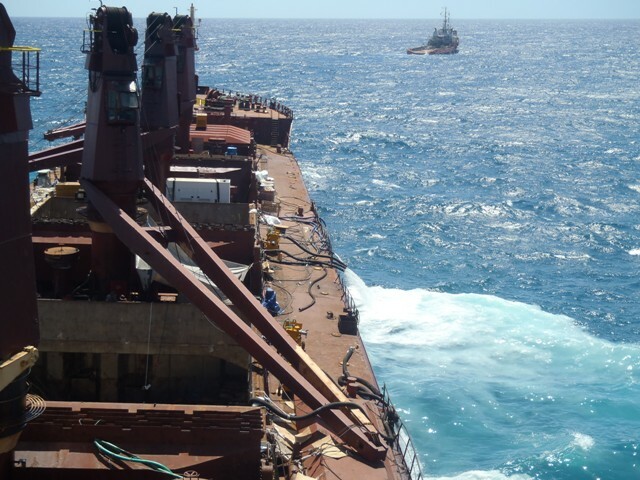 The casualty was successfully refloated and redelivered to her owners locally on 27th December 2011. 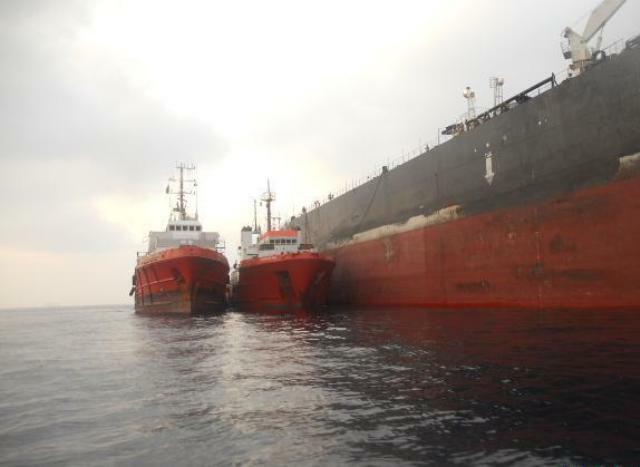 LPG carrier OCEANIC POWER (3,400DWT, built 1981), in ballast, was immobilized due to auxiliaries failure in the Caribbean on 18th November 2011. 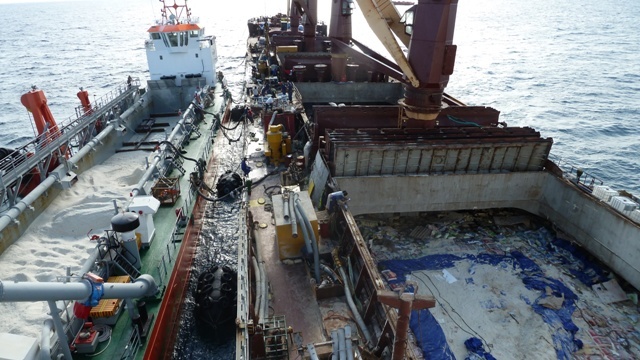 A LOF was signed with Five Oceans Salvage who mobilized tug RESOLVE SUHAILI to assist and tow the vessel to Kingston, Jamaica. 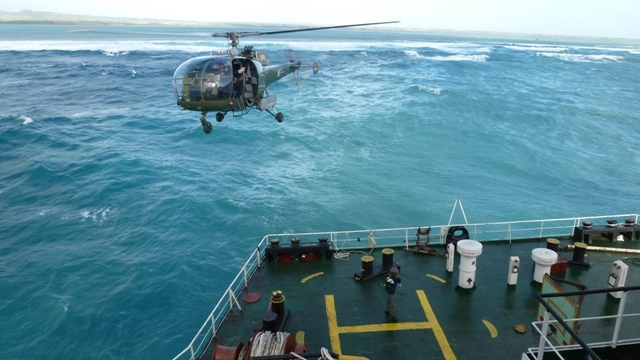 The casualty was redelivered to her owners in Kingston on 27th November 2011. 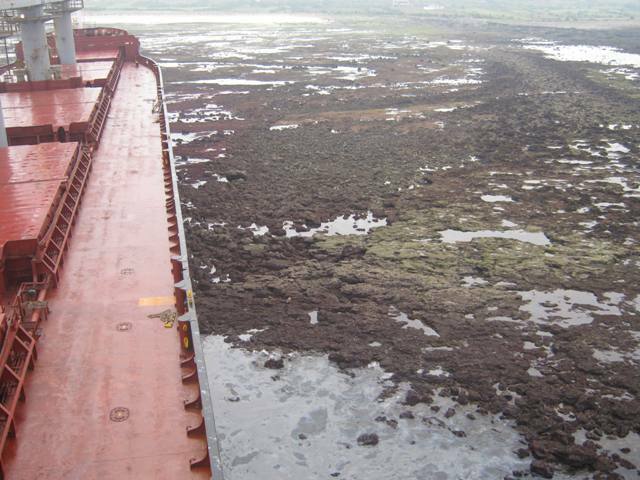 On the 09th September 2011 bulk carrier VENUS N (41,600DWT, built 1986) laden with 36,000mt of bagged rice was immobilized due to main engine failure off Durban. 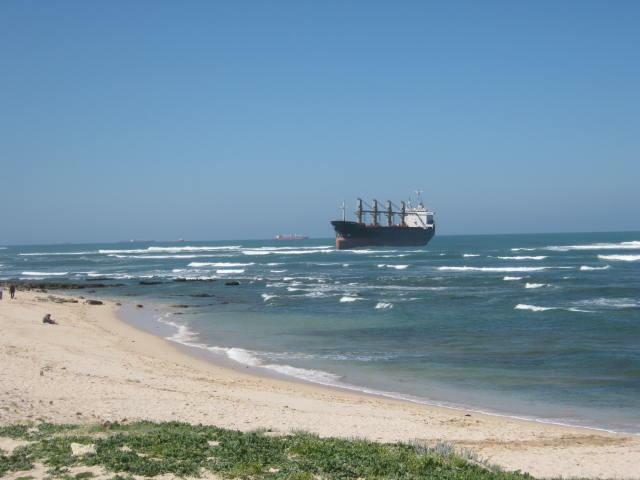 A LOF was signed with Five Oceans Salvage who mobilized tug SMIT AMANDLA from her salvage station in Durban to assist. 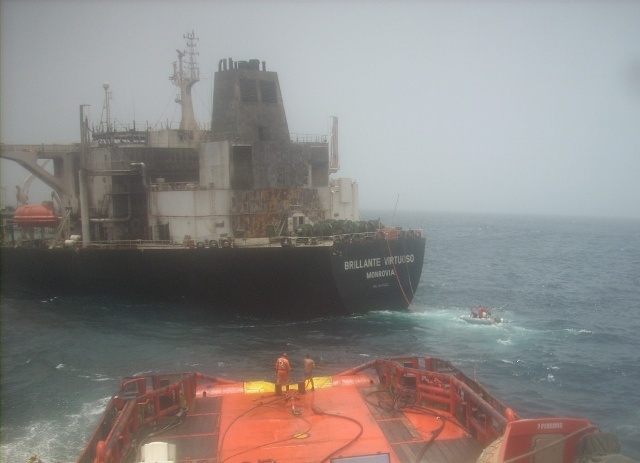 SMIT AMANDLA towed the casualty to Durban where she was safely redelivered alongside on 13th September 2011. 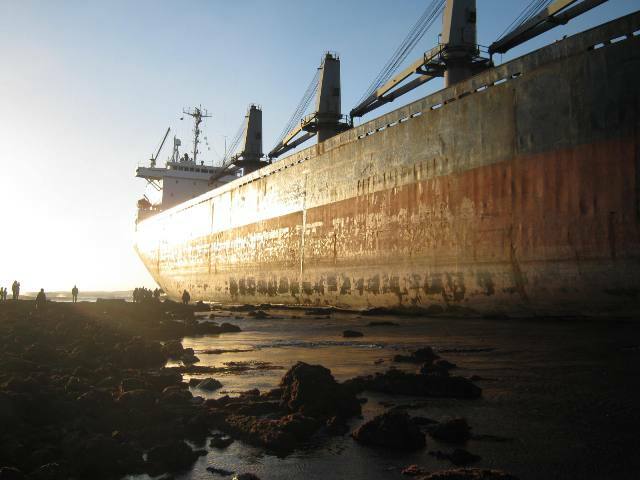 On the 23rd August 2011 bulk carrier OCEAN RANGER (32,000DWT, built 1983) laden with 26,000mt of wheat was immobilized due to engine room fire off Salvador, Brazil. 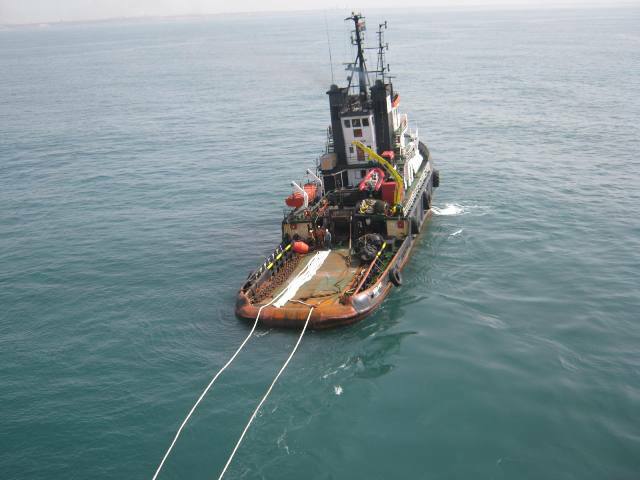 A LOF was signed with Five Oceans Salvage who mobilized tug DE ZHOU that was in the vicinity to assist. 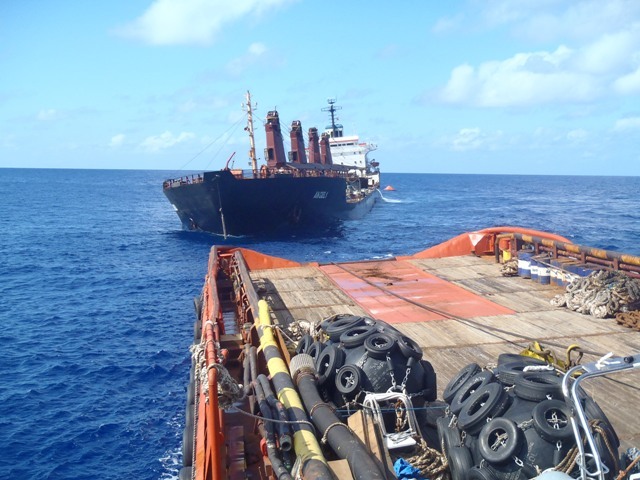 The DE ZHOU towed the casualty to Suape where she was safely redelivered alongside berth, six days later. 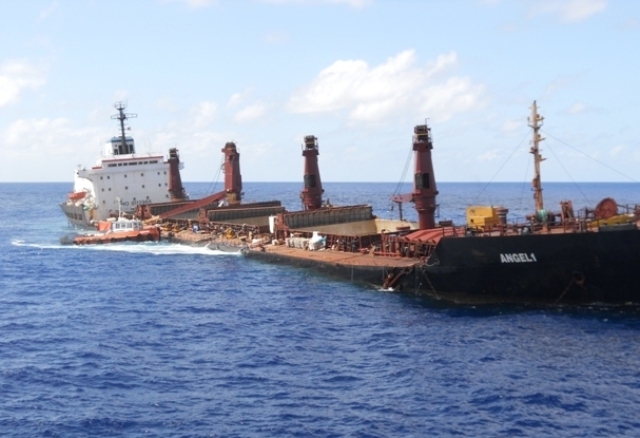 Bulk carrier ANGEL I (35,000DWT, built 1982), fully laden with bagged rice, run aground on a coral reef in the northern part of Mauritius on 8th August 2011. 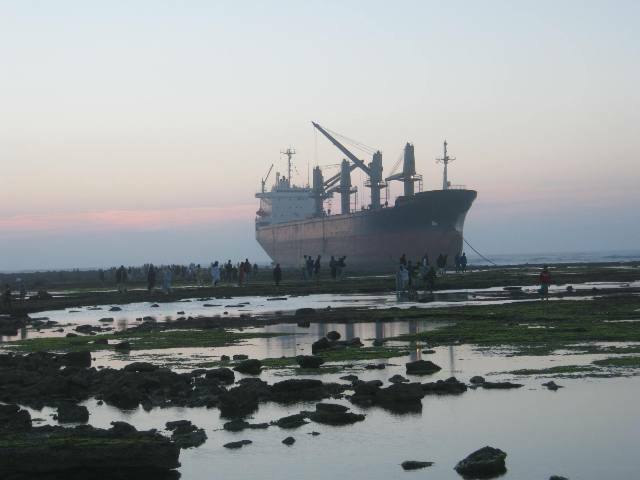 FOS signed an LOF with Owners and Scopic was invoked. 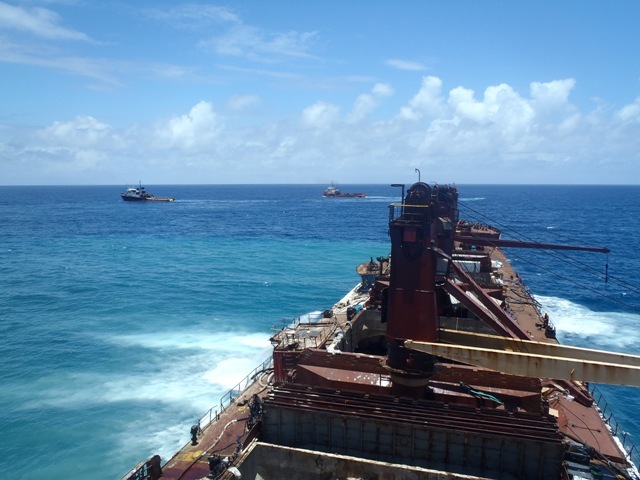 In the course of the following weeks, salvors engaged tugs MAHANWARA from Sri Lanka, NDONGENI from Mozambique, CORAL SEA FOS from her salvage station in the UAE, local bunker tanker MINORQUE, bulk carrier THOR GITTA and hopper dredger RIVER BEE from South Africa to assist. 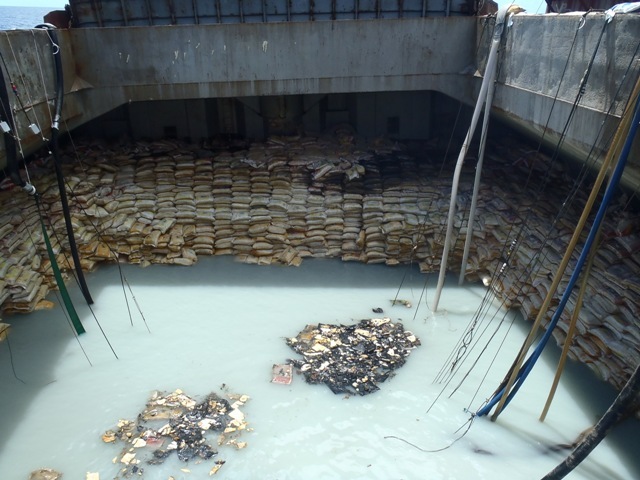 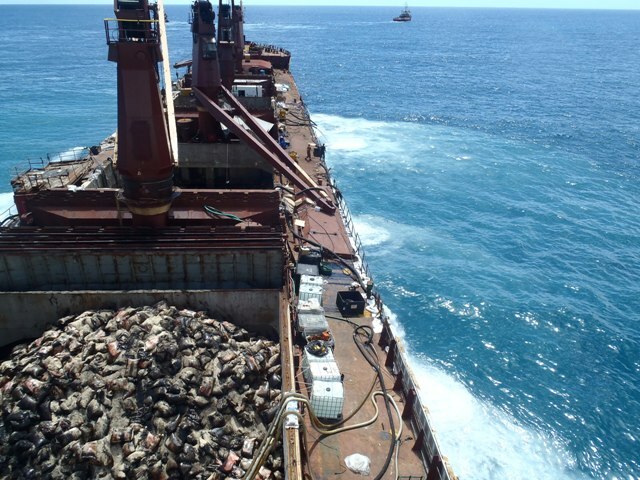 In the course of the following months Five Oceans successfully removed all bunkers from the casualty (about 800mt), lightered, landed ashore about 5,500mt of sound cargo and disposed 5,000 mt of wet cargo (free of bags). 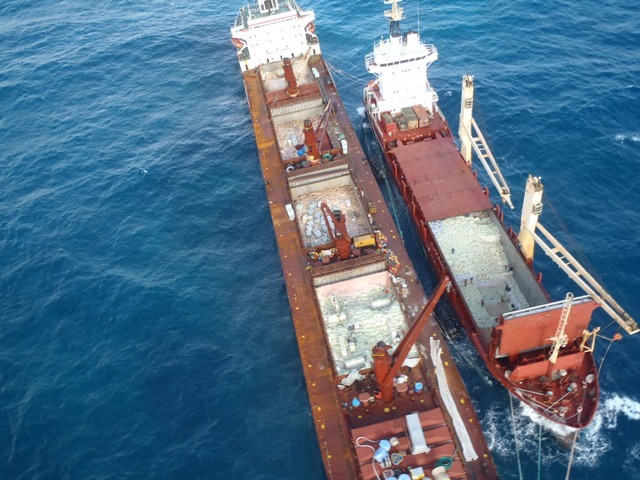 The casualty was successfully refloated on 26th November and removed from the coral reef but could not be kept afloat due to excessive bottom damage, despite a total pumping capacity in excess of 4,000 cub.m/hr being operated onboard at the time. 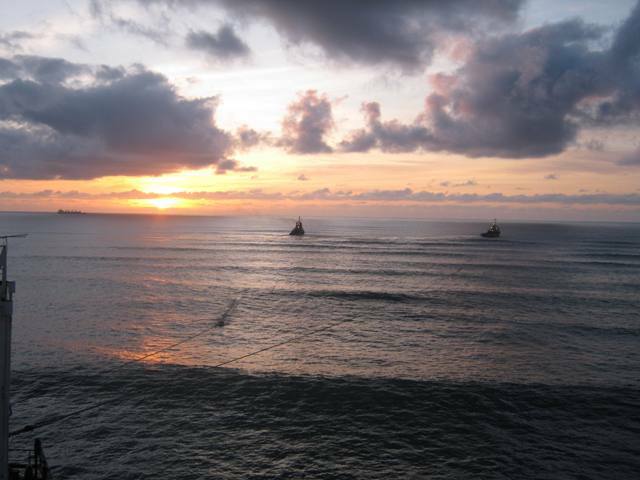 She eventually sunk several miles off the coast at a depth of 4,000 metres. 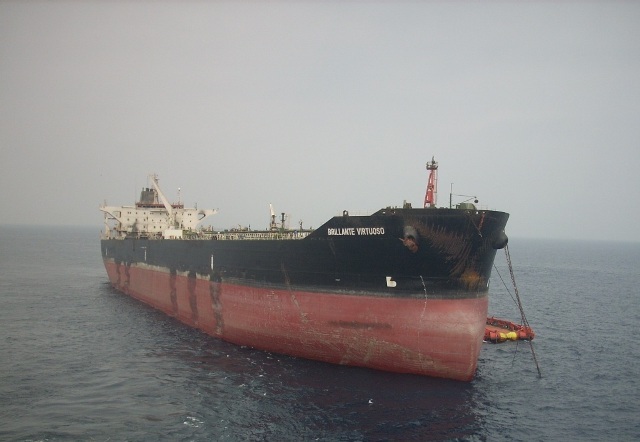 On the 6th July 2011, while passing off Aden, fully laden tanker BRILLANTE VIRTUOZO (150,000DWT, built 1992) was attacked by pirates and engine room and accommodation block were set on fire. 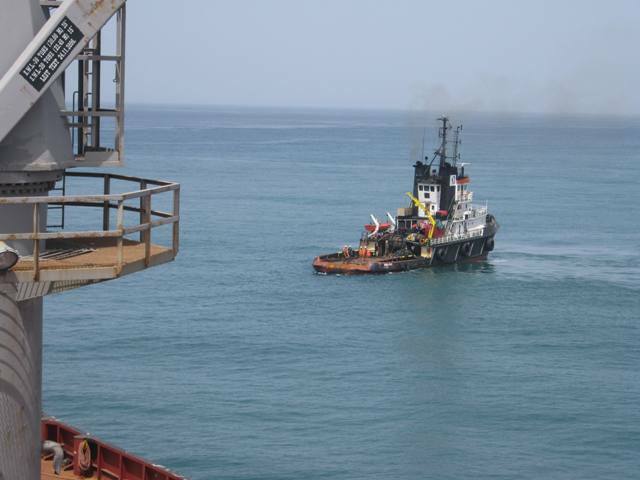 Owners signed a LOF with Five Oceans who in the first instance mobilized a local salvage tug, a local salvage team and equipment from Aden to fight the fire. 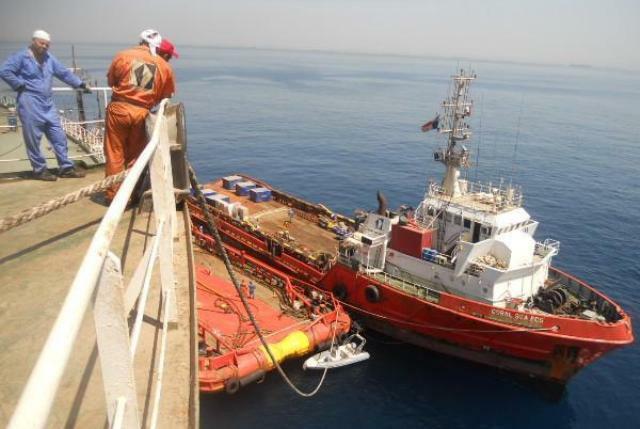 At the same time salvors mobilized a salvage team from Greece as well as tugs CARIBBEAN FOS and CORAL SEA FOS from their respective salvage stations in Greece and Sri Lanka. 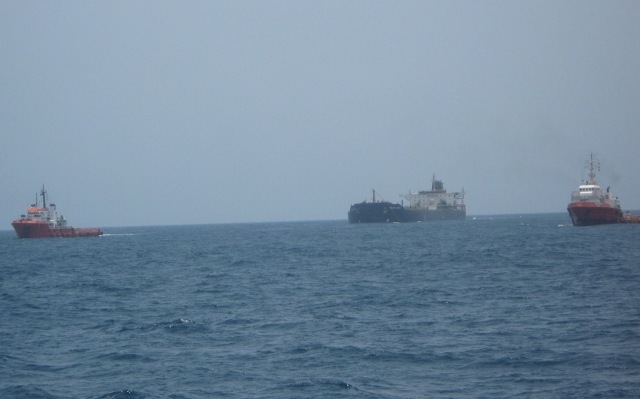 A team of 12 armed personnel was also engaged to ensure the safety of the operation in the Gulf of Aden. 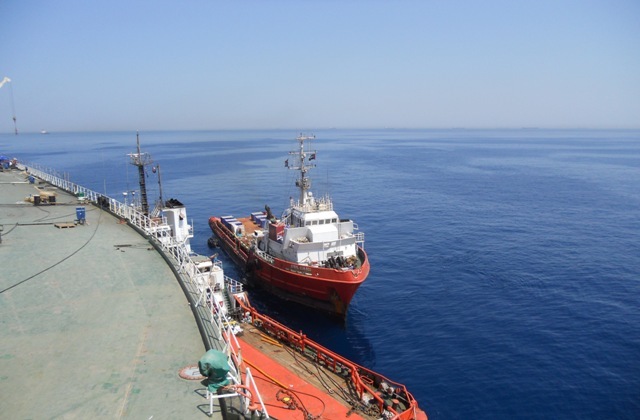 After the fire was put out and the vessel was prepared for towage, she was taken to the UAE where the entire cargo was transhipped over the top onto tanker AMORE MIO II for delivery to the cargo receivers. 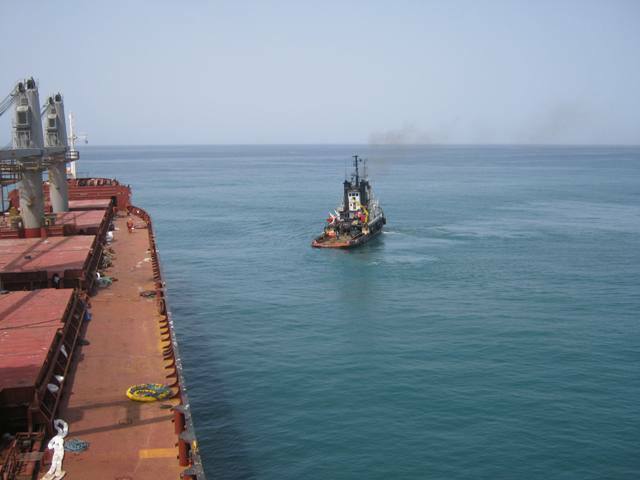 The services were successfully completed and casualty was redelivered to her owners off Khor Fakkan on the 7th October 2011. 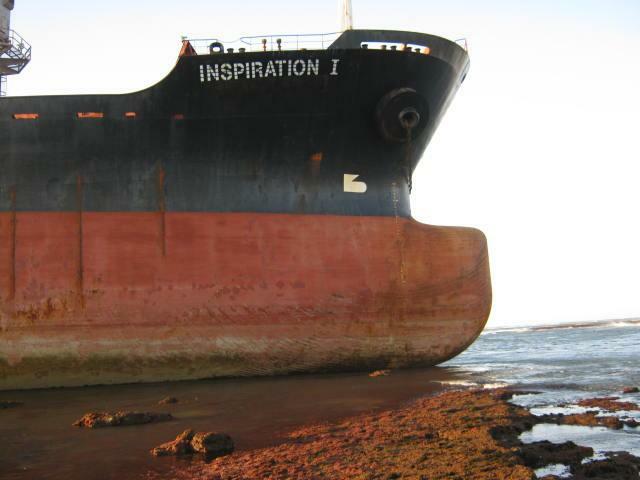 Bulk carrier INSPIRATION I (26,500DWT, built 1985), in ballast, run aground in Jorf Lasfar, Morocco on 16th March 2011. 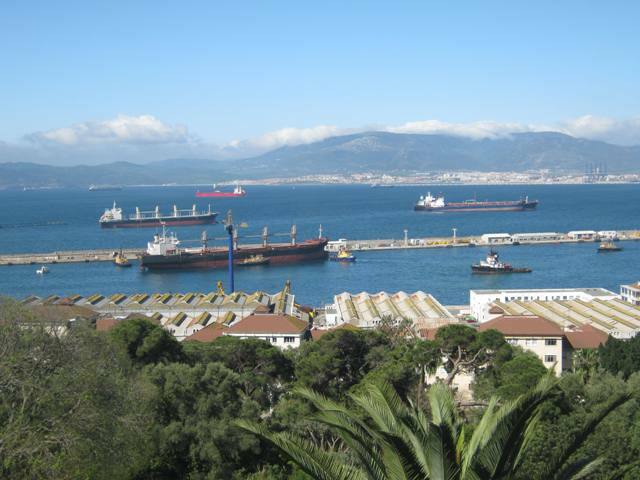 FOS signed an LOF with Scopic with Owners and mobilised tugs MED FOS and RED SEA FOS from their salvage station in Gibraltar together with salvage and antipollution equipment and personnel from FOS Gibraltar-based salvage station to assist. 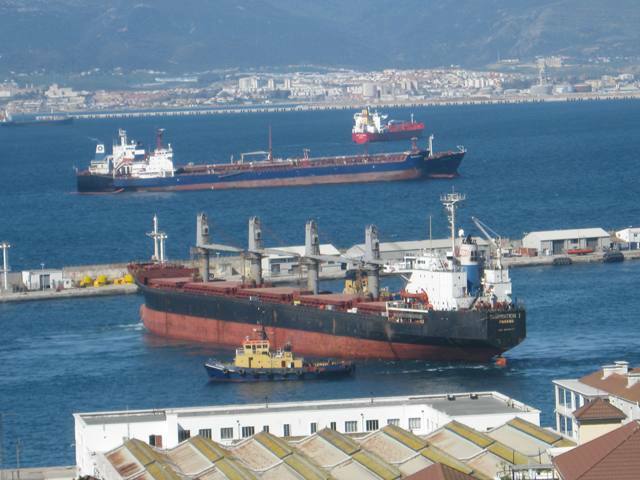 The vessel was successfully refloated and redelivered to her owners alongside berth in Gibraltar on the 10th April 2011.